DVDFab All-In-One Lifetime Gift is the lifetime set of DVDFab All-In-One, which will definitely cover all your DVD/Blu-ray/Video needs with all DVDFab products included, and comes with a $30 Amazon Gift Card (before Apr. 29) as free gift. The best DVD copy software that copies any DVD into any blank DVD disc or onto the hard drive on your PC with super fast speed and perfect output quality. There are 6 copy modes available. 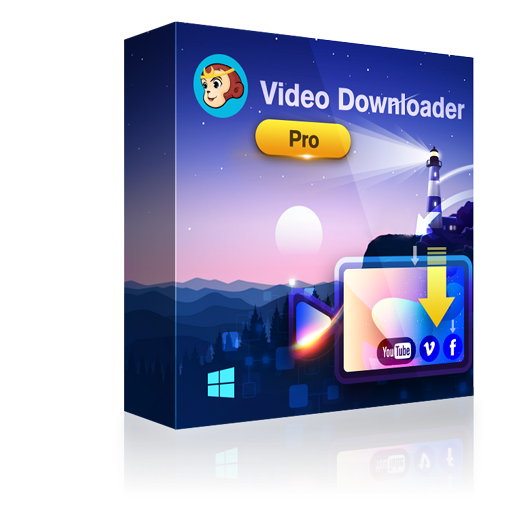 A versatile DVD ripper software that can rip any DVD to any mainstream video & audio format or device in support of video playback with a sea of profiles provided. A versatile DVD movie maker, also an operating DVD authoring tool that supports to convert almost all sorts of video files to DVD-Video format with standard DVD file structures and burn them to blank DVD discs to enjoy on standalone DVD players. The fastest Blu-ray copier that helps copy any Blu-ray to any blank Blu-ray disc and even DVD disc, or copy to your computer for backup. The first full-featured Blu-ray ripper that rips and converts any 2D/3D Blu-ray to various 2D/3D videos based on your needs. Blu-ray 3D ripper function is included. A powerful HD movie maker that converts all video files on PC to BD-Video format with strict Blu-ray structures. The output can be Blu-ray movie folder saved on PC for viewing via the media player software or real Blu-ray discs that can be played on standalone Blu-ray players. Copy and shrink any 4K Ultra HD Blu-ray movie down to a smaller size to fit a regular BD-50/25 disc, or save the compressed content on computer HDD as an ISO file or folder. Convert the 4K Ultra HD Blu-ray movies to high quality MKV and M2TS videos for playback on compatible devices, and still preserve the astounding HDR10 video quality. World’s 1st consumer level 4K UHD authoring software to help individual users make homemade 4K Ultra HD Blu-rays with 4K H.265 MKV videos instilled with HDR10 or Dolby Vision contents. A powerful DVD to Blu-ray converter that converts and merges many DVD titles from different DVD sources into one Blu-ray disc/folder/ISO image file with outstanding output. A custom Blu-ray menu can be created if you desire. An intuitive Blu-ray to DVD converter that can convert Blu-ray to DVD-Video disc played on DVD player, and the processing speed and output quality is outstanding. Downscale and convert 4K UHD Blu-rays to regular 1080p Blu-rays for watching with a non-4K PC media player software or on a non-4K home Blu-ray player. The perfect and complete DVD Cinavia removal solution that helps DVD movie lovers get rid of the annoying Cinavia watermark embedded in the audio tracks of any DVD discs so that they can watch the backups on any Cinavia affected DVD playback devices. World’s first complete Blu-ray Cinavia removal solution that permanently removes the notorious Cinavia watermarks planted in the audio tracks of any Blu-ray discs, so that the backup discs can play back flawlessly on all the Cinavia enabled devices such as the PS3. Remove Cinavia watermarks planted in the audio tracks of the infected 4K Ultra Blu-rays. An easy-to-use but powerful DRM removal software that permanently removes the DRM encryptions from iTunes purchased songs, videos, movies and TV Shows, without damaging the original quality at all. Download online videos from YouTube, Facebook, Instagram, Vimeo and 200+ other video sharing sites. Download and convert YouTube videos or songs of an entire playlist to high quality MP3 tracks for playback on any compatible devices. Record everything happens on the screen of an iPhone, iPad and iPod touch, audio included, and make powerful editing. Extract the high-definition audio tracks from Blu-rays and convert them into lossless FLAC and WAV audio files and still retain the Hi-Fi quality. Downgrade the unfriendly firmware on a UHD drive to make it ready for UHD Blu-ray backup. A Windows-based driver that works on-the-fly to unprotect encrypted DVD discs, removes all known DVD copy protections and region codes just in seconds to help you watch any movies with no limitations. A Windows-based driver that can decrypt any Blu-ray disc just in seconds to allow you to use other compatible software to deal with unprotected content. Extract and split MVC streams from 3D Blu-ray discs and ISO files into two left-eye and right-eye MKV video streams ready for 3rd party non-linear editing software, and then merge the two edited MKV streams back into one 3D SSIF file, or side-by-side MKV file. The professional 4K UHD player software that plays DVDs, Blu-rays and 4K Ultra HD Blu-rays with native navigation menus, plus HDR10 and hi-res audio output support. An ultimate 4K UHD media player with which users can watch their Blu-rays/DVDs with navigation menus, and manage their media library intelligently. The professional and easy-to-use reauthoring tool that can add and replace audios/subtitles of Ultra HD Blu-ray/Blu-ray and create new BDMV folder at fast speed. Copy 4K Ultra HD Blu-ray movies to Mac computer HDD as ISO files or folders, in BD-100 size and lossless 2160p quality. An easy-to-use but powerful DRM removal software that permanently removes the DRM encryptions from iTunes purchased videos, movies and TV Shows, without damaging the original quality at all. Extract the high-definition audio tracks from Blu-rays and convert them into lossless FLAC audio files and still retain the Hi-Fi quality. A cutting-edge Mac 4K UHD Blu-ray media player software to watch DVDs, Blu-rays, 4K Ultra HD Blu-rays and all the other videos on macOS. 1. Users holding valid license of DVDFab 8 and 9 can use the e-mail and password at DVDFab Member Center to activate DVDFab 10 for FREE UPDATE. 2. For more information, please check our purchase &refund policy. 3. Due to the complexity of international transactions, NTP ECOM LTD, BLRD ECOM LTD, YXT ECOM LTD or HongKong Lavson Technolohy Limited may appear on your credit card bill as our payment solution partner, which is normal. If you still have concerns, please Contact our service team for further assistance.